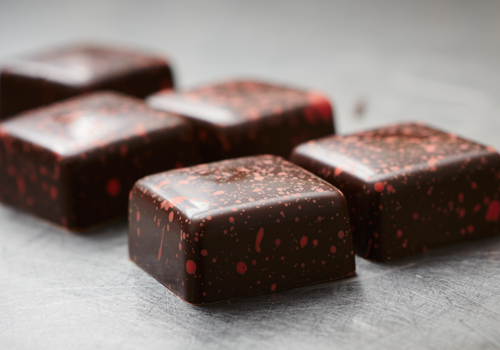 Chocolate is tricky to work with, and it takes experience and skill to achieve great results. We want to help you on your way to chocolate perfection. Read up on your chocolate essentials with Oialla’s guides. We share the art of tempering chocolate and let you get a little wiser on how to taste chocolate. Get inspired by Oialla’s recipes. Whether you are looking for sweet or savoury dishes, we share some of the most flavourful creations by chef and founder Rasmus Bo Bojesen. If you just want to eat Oialla as it is, we won’t hold it against you. But the world of Oialla gets even bigger when you use the chocolate in the kitchen.